Chaos! Mayhem! Everything won’t be done on time! We don’t have enough food! We don’t have enough vendors! 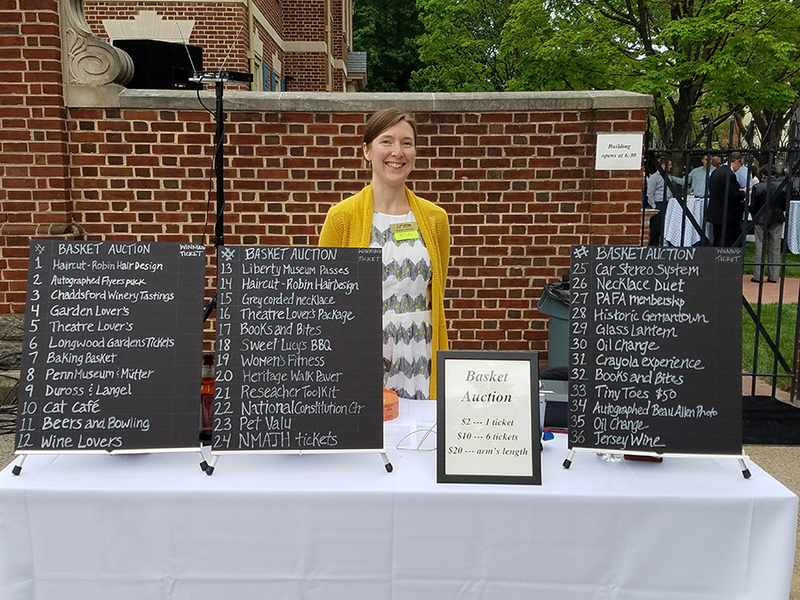 These are just some of the thoughts that were going through the minds of staff members at the Presbyterian Historical Society days before their first ever outdoor fundraising event, “A Taste of History.” The fears were there for many reasons. No one on staff had ever organized an event quite like the one they wanted to create—something big and successful that raised a lot of money. The staff had oversized dreams, and in the end those dreams were what would overcome their fears. The centerpieces of the party were six statues by Alexander Stirling Calder. After being gone for sixteen months, to be repaired and conserved, the statues had finally returned home. They portray six notable Presbyterians from early America. Frances Makemie, John Witherspoon, and John McMillan are on the west side of the building. Samuel Davies, James Caldwell, and Marcus Whitman are on the east. Learn each historical figure’s history here. The statues are important pieces of both Presbyterian and American history, and it was important for the staff not only to preserve that history, but also celebrate its existence. This is not something that you can just smile about and say, "The statues are back." After all, these are the only statues by Alexander S. Calder known to be done in cast terra cotta! So they planned, and planned, and planned for a party. They contacted local restaurants to showcase their food. They hired a DJ, because what is a celebration without music? 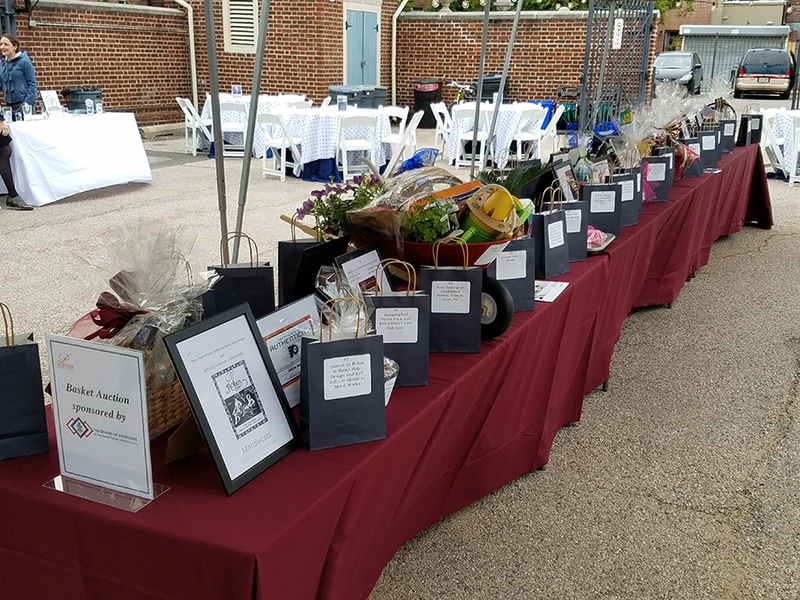 They sold tickets to the event and held a silent auction and raffle. 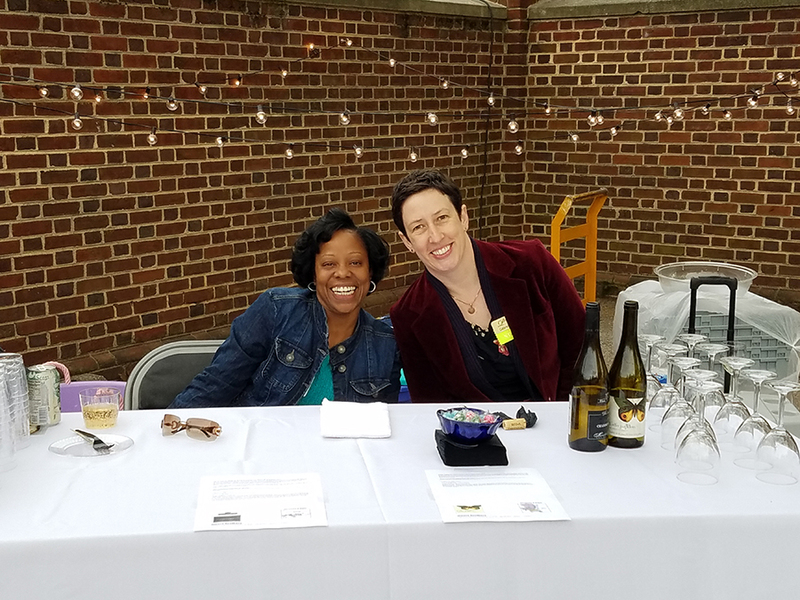 They provided a wide selection of drinks—wines, craft beers, gourmet sodas. They prayed for, and got, a rain-free event. There was much to put together in the days before and the day of the event. There were tables and canopies and chairs to set up—all in just the right place. There was food to prepare, drinks to cool, coolers that needed ice, a lawn that needed to be perfect, extension cords to run, lights to hang, and walkways to be swept. There was parking to secure, signs to hang, auction items to set up, and a place to reserve in the event of rain. The whole staff at PHS jumped in to make everything come together. The event ended up a terrific success! 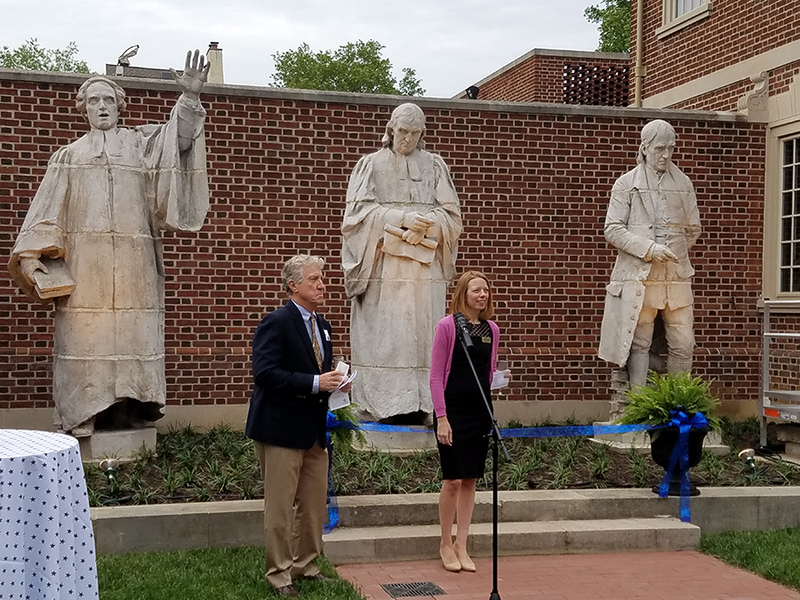 Executive Director Beth Hessel and PHS Board Chair George Abdo opened the party by welcoming guests, thanking donors, and cutting a ribbon to officially welcome back the Calder statues. 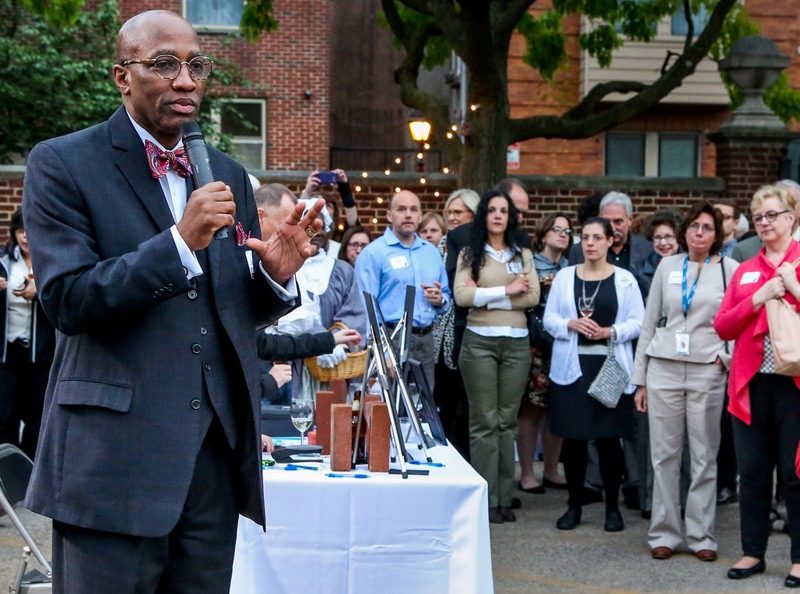 Stated Clerk of the PC(USA), J. Herbert Nelson II, spoke of the importance of preserving the history of the Presbyterian Church. He also blessed the event and everyone present with prayer. Outside of the presentations, there was plenty of time to mingle and sample the delicious food from local restaurants. A variety of options were on hand to fit any taste—Thai, Italian, Mediterranean, American, and desserts. Attendees had great things to say about their time at the “Taste of History” event. Guests and staff alike had a wonderful time. After the last guest departed, the staff once again teamed together to take down everything they had built for the event. After all, there was a Board meeting the next day.